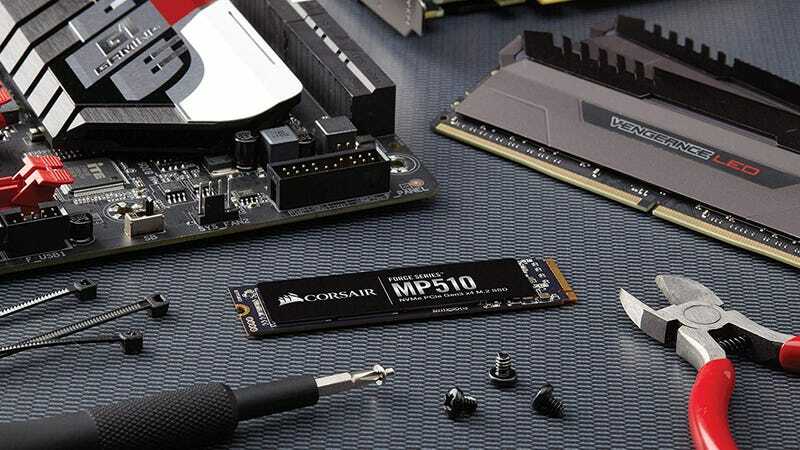 Gamers, this Corsair Force Series MP510 1920GB NVMe SSD is currently at the lowest price we’ve ever seen. At $320, it’s still a big investment, but if you’re short on slots but still want a ton of fast, reliable storage, this is a great deal. For those unfamiliar, NVMe SSD drives are smaller but offer awesome read and write speeds compared to their 2.5" equivalent. This one goes up to 3,480MB/s. And as with all SSDs, you get more reliability and much faster speeds than with a traditional spinning drive.